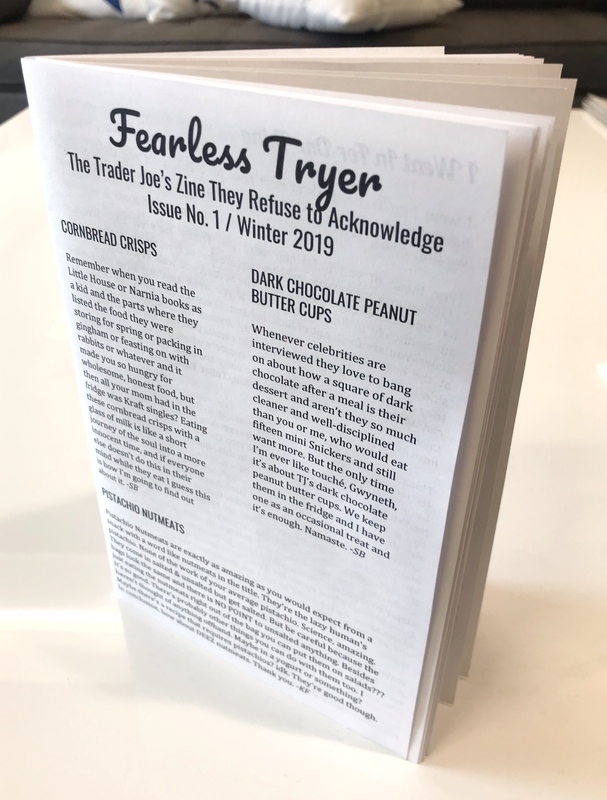 Yes, it’s true, a whole zine about Trader Joe’s. 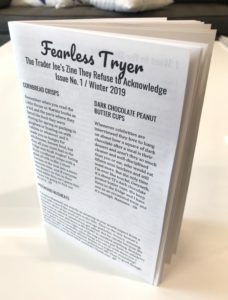 Based on their newsletter, the Fearless Flyer, but soooo much more. Product reviews! Art! Recipes! Personal histories! Interactions with Cashiers! Fan fiction!!! 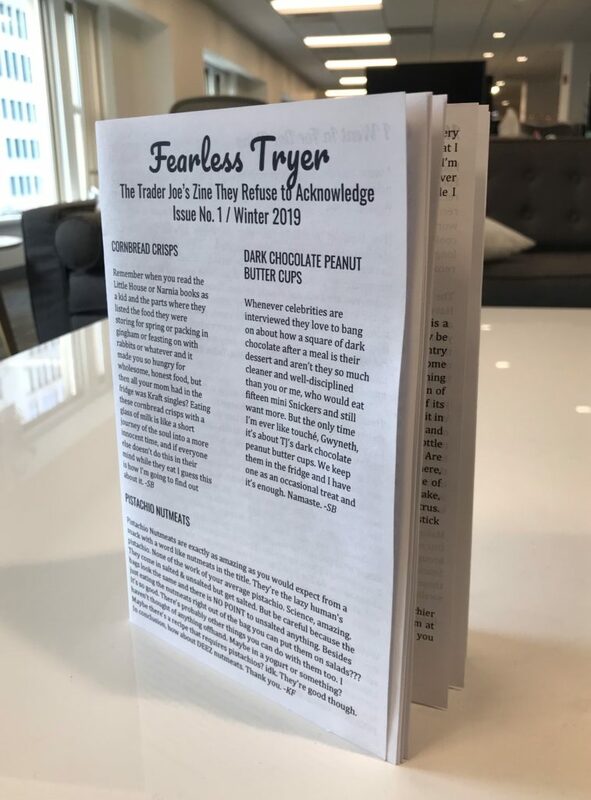 Contributors include: Meghan Deans, Millie De Chirico, Nalini Edwin, Elisabeth Geier, Stephanie Gayle, Helen Jane Hearn, Eden M. Kennedy, Amanda McCleod, Tracie Masek, Brett O’Connor, Sarah Olson, Nora Redman, Hannah Skibbe, and Mike Toole. Edited & designed & organized & produced by Sarah Brown and me. 32pp absolutely packed to the corners with content. Makes a great gift for your friend who won’t shut up about Trader Joe’s.